*Urban Decay All Nighter foundation, if I am out for the night this is my go-to foundation. I love how it just gives me super flawless skin and a gorgeous matte finish. This foundation is medium to heavy coverage and that’s the reason I would not wear it everyday but it is very very good! You can shop here and see my full review and tutorial here. Urban Decay Nakedskin concealer is literally my everyday concealer without fail! I do love the All Nighter concealer which covers everything and lasts all day but for a lightweight coverage and an everyday look I choose the nakedskin concealer. It is so easy to use and blends really well. *Urban Decay Colour Correctors, like the concealer I wear these everyday. They have just become part of my routine and I love that they are the same consistency to the concealer so they all work really well together. You can see my full review here. 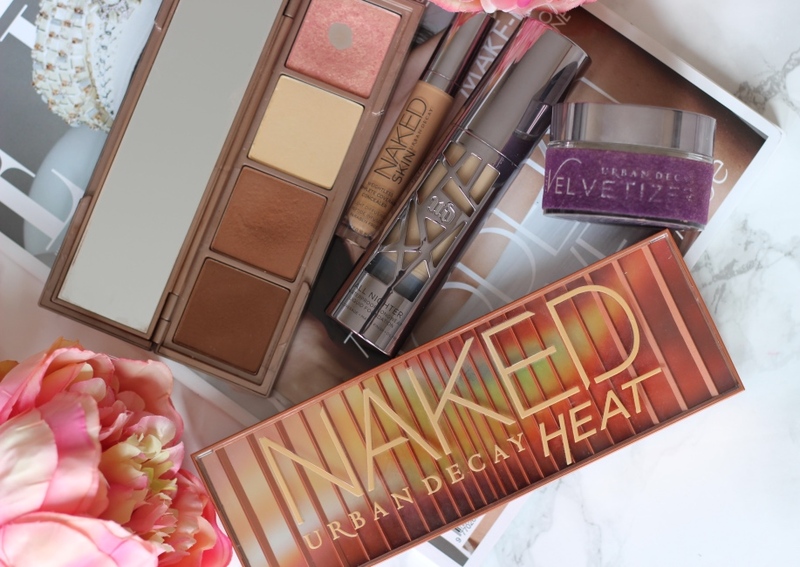 *Urban Decay Shape Shifter Palette this is such a great palette and again something that has become part of my everyday routine. It is so easy to just have in your kit and super easy to travel with. You can see my full review and tutorial here. *Velvetizer is another product I use pretty much everyday. As it is so lightweight it is great to use with heavier and full coverage products like the All Nighter range. I can also easily use it with the lightweight Nakedskin range as I am still left with a glow. *Primer potion, for me eyeshadow primer is a must and this one is definitely one of my favourites as it compliments the Urban Decay eyeshadows really well. You can see it is one of my favourite eyeshadow primers. 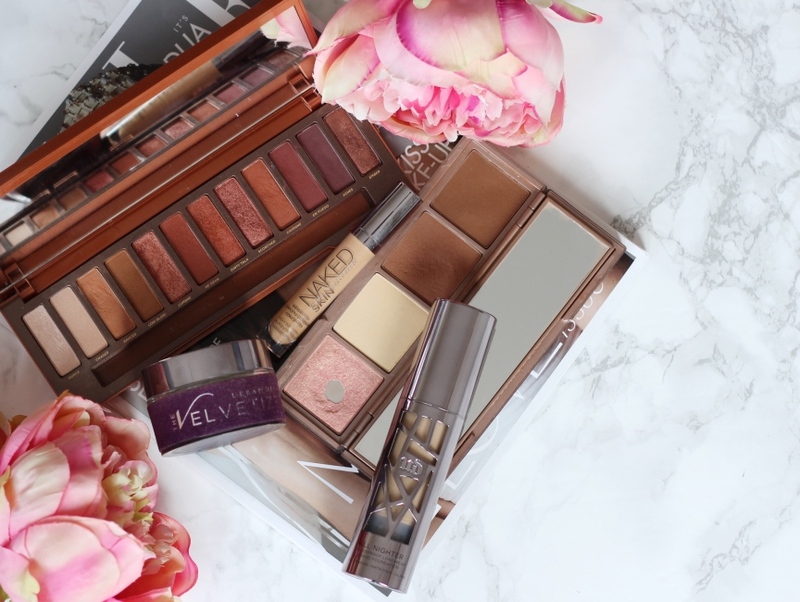 *Urban Decay Naked Heat Palette, it is no secret that I love this palette! 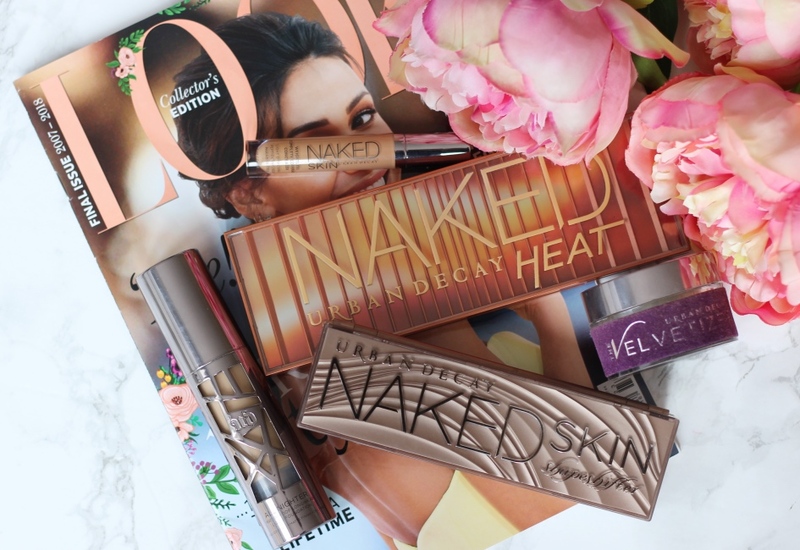 It is my favourite naked palette and that is a very bold statement I know! I just love the warm tones, they are very me! You can see my tutorial and review with swatches here.